On Wednesday, we took a tour of the Pine Ridge reservation. Here are a few quick shots. 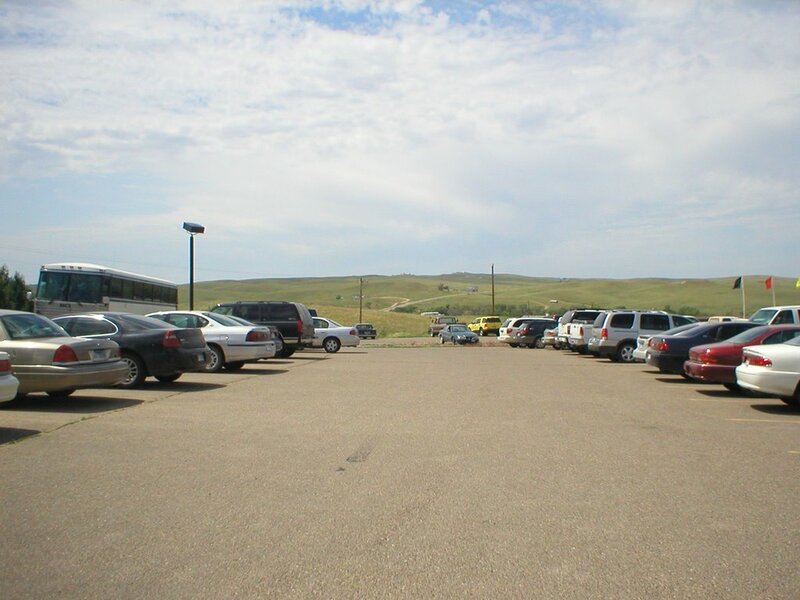 We first stopped at the Oglala Lakota college. I have to take two courses from the college over the next two years, one on Lakota culture and one on South Dakota human relations, I think. I may be able to take these at a college center in Wanblee, though, because the main campus is about 40 minutes away, near Kyle. We looked at the college's histroy museum, which offered a brief run through of Lakota history. This is a view from behind the building. 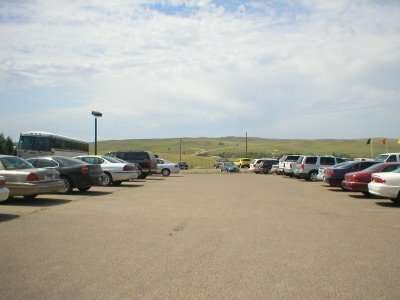 The parking lot at the college. 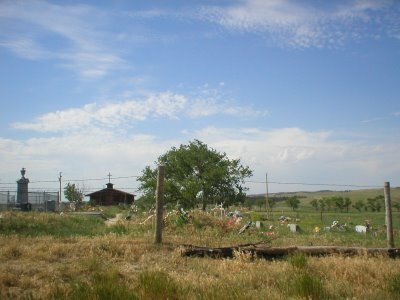 Later we went to the memorial at Wounded Knee, where what is supposed to be the last Inidan - U.S. battle occured in 1890--though the Lakota call it a massacre, not a battle (the museum at Oglala Lakota mentioned how it is called a battle when many Indians are killed, and a massacre when many whites are killed.) In 1973, there was another "skirmish" at Wounded Knee, when the American Indian Movement and the FBI had a seventy-one day stand off. 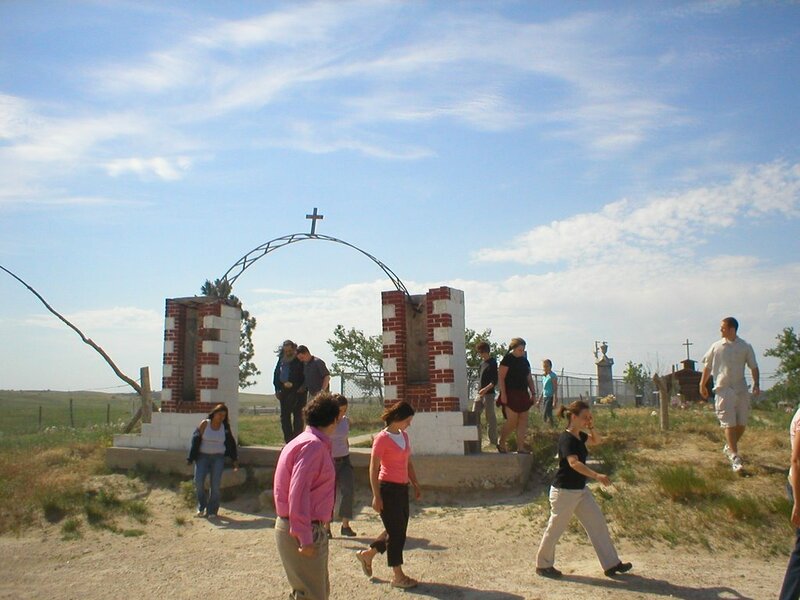 Joe Whiting, our tour guide, was working for the law enforcement at the time, so he was helping to keep AIM entrenched at Wounded Knee. His brother-in-law, meanwhile, was on the inside. 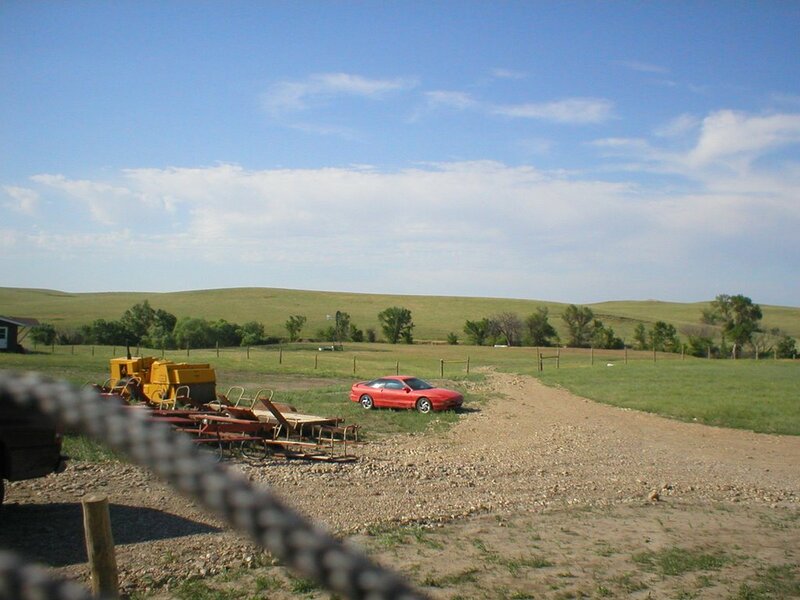 The FBI blockaded the roads, believing no one could get in or out. 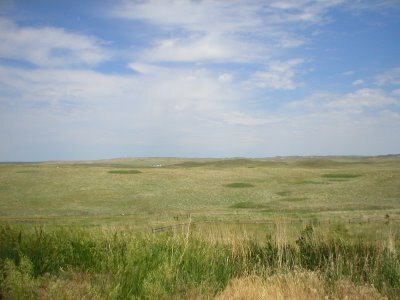 The Indians at Wounded Knee, though, knew how to cross the fields, so every night Joe's brother-in-law would walk 20 or more miles over the grassland to Joe's house in Kyle. They would eat dinner together and then return to their opposite sides at Wounded Knee. 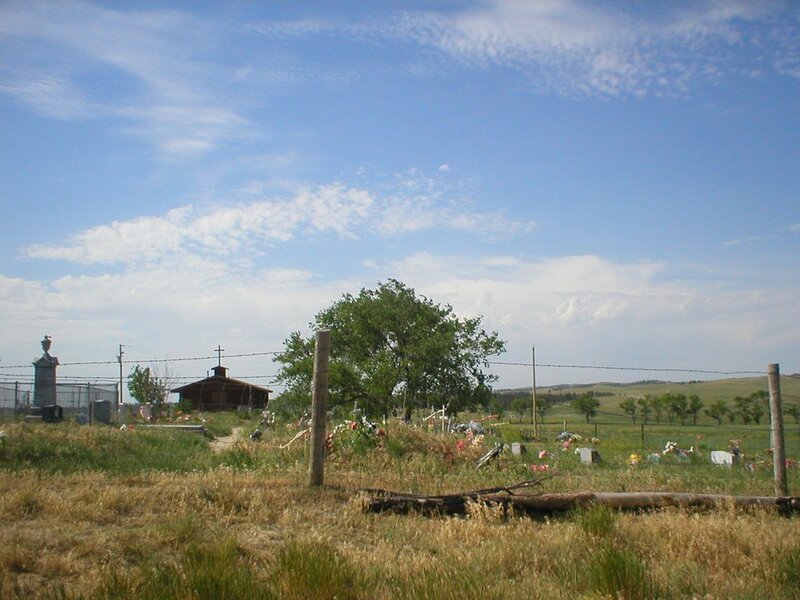 These two pictures are of the cemetary/memorial at Wounded Knee. Later we went to a resort on the reservation for dinner. It got really windy, which is why the strap from my camera is in this picture. 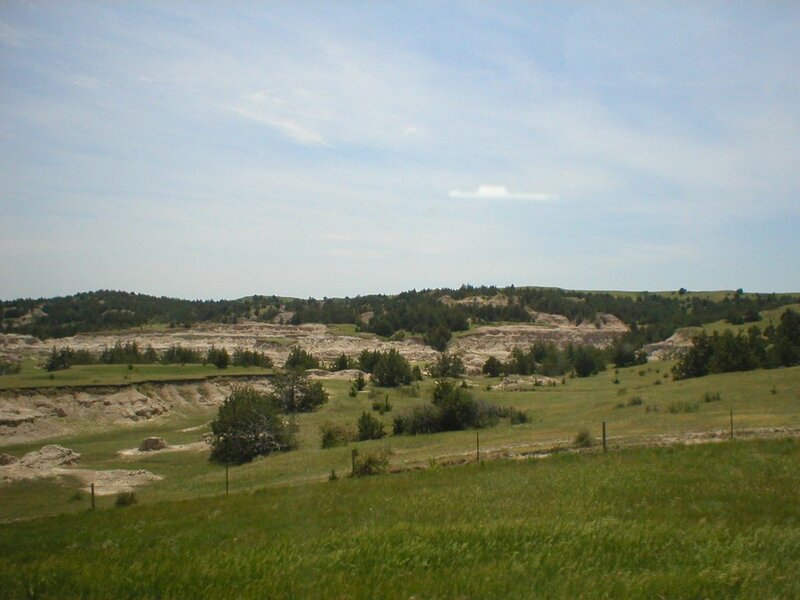 The landscape on Pine Ridge is a little different than on Rosebud. 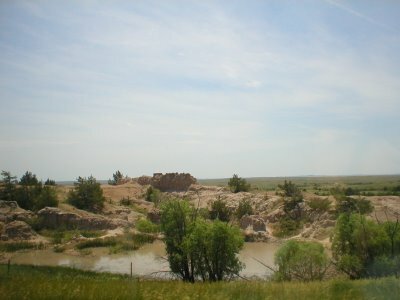 There are a lot more canyons and rock formations, including a good spot to run about four miles north of Crazy Horse. 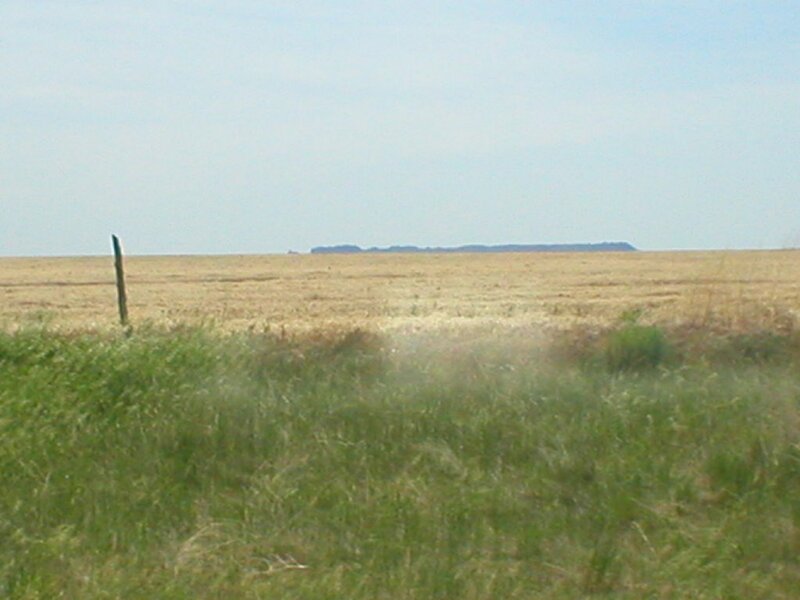 All of these shots I took from the van on the way back to Rosebud, so some of them might not be on Pine Rige, but they give a good indication of the landscape. 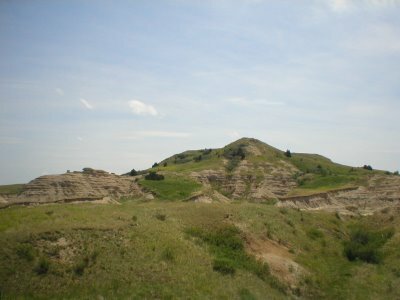 The first one is another view of Long Butte.